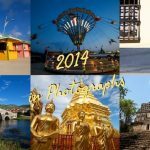 There are several, justifiably popular colonial towns in Central America, with Antigua in Guatemala and Granada in Nicaragua topping the bill but there are also a number of lesser known towns that see fewer tourists and are often great places to break a journey from A to B. Here are a few of the towns we ‘discovered’ on our last trip to Central America. Cobbled streets, a splendid white-washed church and brightly painted buildings all help to make Suchitoto the quintessential Spanish-colonial town. At the weekends the town can get pretty busy with Salvadorian visitors, who head up from the capital and beyond, but come during the week and Suchitoto reverts to being a sleepy little place that is normally packed up and in bed by 10pm, if not earlier. 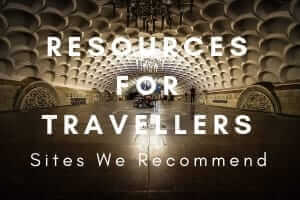 There are plenty of good hikes in the area but heed the advice of the efficient employees at the tourist board or the staff at your hostal – if they recommend taking a guide then do so as there have been reports of robberies on some of the trails. One trail that was OK to walk unguided, which we undertook, was to Lake Suchitlan. The walk took about 1½ to 2 hours and was all downhill from the town. To return to town, unless you like a long slog back up the hill, it’s better to wait and catch the once-hourly local bus. Suchitoto is 50km north of San Salvador and 80km south of El Poy, where it is possible to cross the border and travel into Honduras. Indeed, Suchitoto is an ideal place to break the journey if you are heading from El Salvador into Honduras. 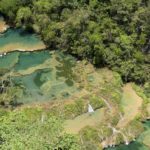 How do you get to Suchitoto? Bus 129 from San Salvador’s Terminal de Oriente will get you to Suchitoto. The journey time is approximately 1½ hours. To travel north to the border, take a bus to Las Aguilares and change to another bus there. We stayed at the El Gringo hostal. On the plus side, the hostel had a good Tex-Mex restaurant attached to it but on the downside, the room we booked was the best available but still it was very basic and didn’t have an attached bathroom. We looked inside the Posada Blanca Luna (no website) whilst out and about and felt this was a much better, albeit more expensive option. Thankfully shortened to Xela by nearly everyone, the lovely highland town of Quetzaltenango is a great place to kick back and relax for a few days. The Spanish Language Schools in Xela have a good reputation and attract those serious about learning Español. Unlike Antigua, there are not so many things to distract you from missing your lessons (i.e. nightlife) but equally Xela is not a boring place either. There are nice cafes, a bar or two and some good places to eat on and near Parque Centro America (central plaza) in the old part of town. The majority of the town’s colonial buildings are here too which make it an excellent all round location in which to be based. The small towns and pretty countryside around Xela make for great day trips. We went to busy Mayan markets at Zunil and San Miguel Totonicapan. Both are genuine markets (not tourist affairs) and excellent for people-watching and photography. We also checked out the ‘all singing, all dancing’ church at San Andres Xecul (photo below) and the garment town of San Francisco El Alto although we weren’t there on market day (Friday) and were not that impressed. We visited all of the above using public transport. Xela doesn’t have Antigua’s sophistication but then again it also doesn’t have its hordes of tourists either and we thought it was one of the nicest places in Guatemala. Xela is 165km from Antigua, 93km from Chichicastenago and 167km from La Mesilla on the Guatemalan/Mexican border. 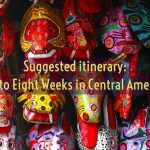 How do you get to Xela? There are direct public buses between Xela and Chichicastenago but not so between Antigua and Xela – it is more convenient to take a shuttle minibus on this route. Allow at least 3 hours for both journeys. It’s possible to get to the Mexican border at La Mesilla by public bus but trust us, take a shuttle minibus direct to your intended destination in Mexico if you have a choice. 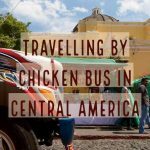 We took an OK-ish bus as far as Huehuetenango (sorry no shortened name for this one) still in Guatemala and then the chicken bus from hell from there to the border. Boy, was it a miserable journey and with border crossings, and so on, took up most of the day. Luckily we only wanted to get as far as Comitan, which is just 85km (1 hour) from the Mexican side of the border. If we’d wanted to get any further into Mexico we might have been in trouble, especially as we forgot that Mexico is one hour ahead of Guatemala. We stayed at Hostal Nim Sut which is located 5 minutes’ walk from Parque Centro America. Run by an American guy and his Guatemalan wife, there are quite a lot of rules at this establishment but we didn’t mind: the place was nice and quiet at night. The upstairs terrace has great views but gets pretty cold as soon as the sun goes down (think hat and gloves on whilst drinking cans of beer kinda cold). Gracias is a quaint little market town with an attractive plaza (Parque Central), a handful of colonial churches and some nice hot springs in the local vicinity. The streets are cobbled, the market is busy and the locals are friendly and we liked it. If you want to do nothing for a bit we would recommend staying there for a night or two. (*) Who would honestly get the answer to that right in a pub quiz? How do you get to Gracias? The most logical way to include a visit to Gracias is to stop en route either between El Salvador and the Mayan ruins at Copan or between Lago de Yojoa and Copan. Both routes are pretty easy on public transport but will require a change of transport or two. We came from El Ploy on the El Salvadorian/Honduran border and got a bus as far as Santa Rosa de Copan (not to be confused with Copan Ruinas), where we swapped to another bus to get to Gracias. Getting to Copan Ruinas from Gracias, we headed back to Santa Rosa de Copan, took another bus to La Entrada and then a third one to Copan Ruinas. If you are coming from or heading to Lago de Yojoa, it will be necessary to change buses in La Esperanza. We stayed at the Casa Mio, which was perfectly suitable for a couple of nights. Our room was bright and airy and we had an attached private bathroom. The hotel is located 200m from Parque Central and also close to the central market. OK, Leon is way more popular as a tourist destination than anywhere else mentioned in this article but it is definitely not in the same league popularity-wise as Granada, Nicaragua’s premier colonial city and number one tourist hotspot. If Granada is a polished diamond, Leon is still a diamond in the rough, but the longer you linger, the more the city grows on you. For starters Leon is home to the largest cathedral in Central America, the Basilica de la Asuncion, and there are numerous other churches dotted throughout the city that are worth visiting including Calvario Church and the Church of the Recollection. Maybe we were a bit historical-building’d-out having arrived from Granada but for us, Leon was more about exploring the backstreets and hanging out in the Parque Central and generally taking it easy and as a result we enjoyed our time here very much. Leon is 160km from Granada, 118km from Managua and 247km from the surf town of San Juan del Sur. How do you get to Leon? 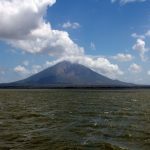 There are regular microbuses between Granada and Managua and conveniently the buses to Leon leave from the same place so getting between the two is dead easy. It’s also hassle-free getting from San Juan del Sur to Managua and then onto Granada. Annoyingly (for us anyway), Leon has become a bit of a party place for young travellers and there are definite hostels to avoid like the plague unless of course partying is your thing? So we deliberately chose one that advertised itself as a non-party hostel and ended up staying at the Hostel Colibri, which states on its website ‘We like it ´tranquilo´, good atmosphere – nice people, not a lot of hassle!’ and ‘any BACKPACK traveler, ONCE it’s time to sleep, NOTHING will bother’. The hostel had a good location (about 10 minutes’ walk from the Cathedral) and true to its word, was quiet and peaceful. The communal shower block was clean and the price of the room included breakfast for two. Great post. A few new places on my list now. Thank you. Xela was probably the most interesting but they are all worth visiting if your time permits. I think El Salvador and Honduras are still not considered overly safe but we took precautions and didn’t run into any problems. I don’t think it’s anywhere near the level of your 1998 visit though. We were surprised at the number of guns on the streets, particularly in El Salvador where even the fruit and vegetable shops were guarded by guys with sawn-off shotguns! We will be going to Nicaragua in January, we will need to go to Leon now!